Deeply loved and with profound sadness, Angela Raymondé Morel-Moesman aged 80, passed away in her sleep at FMC, Calgary early on March 21st, 2016. Angela Mason was born in Hornsey, London, UK and grew up in Bournemouth, Dorset. Angela became a police constable there, but moved with husband Frits Moesman to Brabant, Netherlands where she had hoped to spend the rest of her life. The Moesmans came to Calgary in 1970 for their daughter Suzanne who needed a high, dry climate to survive. Son Sean came on board in 1972. Widowed in 1995, Angela married Paul Morel in September 1996, and moved to Cochrane in 1997. Angela experienced many damages to her body over the years which she faced with immeasurable strength of character, humour and faith. A fractured neck (rear-ended by a delivery truck in 1978) led her to a clinic in La Crosse Wisconsin for management of severe pain through physical therapy and biofeedback. As she was an OT Technician at the old Holy Cross Hospital at the time, she was able to teach patients these biofeedback techniques. In 1984 she tripped on a broken stone step in an old stairwell in the Holy Cross Hospital landing on both knees; this injury forced her to give up the work she loved and she became registered with the WCB. In 1995 the first knee replacement went bad, for reasons still unknown, and was sent to the Mayo Clinic with equally inconclusive results. Luckily, the two subsequent knee replacements held. Angela herself discovered from the Mayo Clinic x-rays a lesion in her left thigh bone, which indicated she had stage 4 metastatic breast cancer. This required more metal to stabilize the weakened femur. Somehow, the cancer was controlled, but since 1999 needed to spend the rest of her life in a motorized wheelchair. Angela had wonderful singing skills, and was an excellent writer and poet, winning a number of awards from individually published poems. She completed her own life story and a volume of poetry, as yet unpublished. Angela was a many talented person in her life, participating in church choirs, teaching catechism, organizing social events, and touched everyone with her kindness, friendliness and her joy of and involvement with all aspects of life, despite her handicapped state. Angela is survived by husband Paul, daughter Suzanne Nethery (Keith) with grandchildren Sarah-Anne, Rebekah and Noah of London, ON and son Sean Moesman (Melissa) with grandchildren Amelia and Bradley, of Cape Cod, MA USA. In England surviving her are older sister Pamela Stone, of Chichester, and younger brother David Mason (Vivienne) of Poole, Dorset and numerous nieces, nephews. 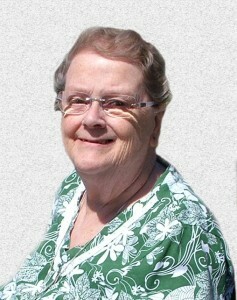 A service celebrating her life was held on April 2, 2016 at St. Stephens Memorial Anglican Church in London, Ontario, with her family and friends. 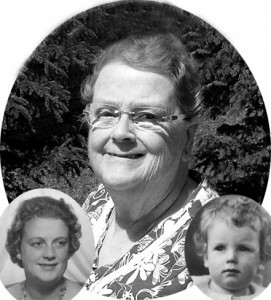 Angela’s ashes will be interred at Brandon Cemetery in Belgrave, Ontario. May she rest in peace. Although I never met Angela, I have heard nothing but how wonderful, talented and strong she was both from Paul and Riet Morel. I have no doubt that she has made a huge impact on many lives and will be greatly missed. Such a dear and beloved friend for more than 35 years. I will miss her. She was so kind, thoughtful, generous and so multi-talented. Her photography was beautiful, her custom wedding dresses were in demand and her baking/cooking/catering were simply delicious; just to name a few of her many talents. She was so thoughtful to the patients and staff with whom she worked at the Holy Cross Hospital. She would take her two young children with her on Christmas day to the hospital to provide treats and Christmas cheer to the nursing unit she spent most of her time on. My thoughts and prayers are with her family; husband Paul, daughter Suzanne and family in London, Ont. Son Sean and family in Cape Cod, USA and sister Pam and brother David and their families in Great Britain. God Bless and comfort you. Much love and many, many warm hugs. Sheila. To all of you goes out our deepest condolences and prayers at such a difficult time in your lives. May all the good memories you have of her give you comfort for each new day. Those memories will sustain you for all time. I met her many years ago, as one of her first patients as she taught biofeedback. I learned much and even inherited from her teachings the ability to hypnotize myself in times of crisis and to help control my painful times. She inspired me to carry on no matter what the circumstances you have to face. From there our friendship grew. I worked with Fritz at Symons Valley Ranch and we later combined some of our accounts and worked together – him advising me of things and me helping in other ways. I shared many a supper with him and Angelia I definitely can agree with her great ablility in that field. The food was great tasting and abundant. One serving was not enough- she was right there refilling. From there I had her do my wedding gown – it was simply beautiful – she also did the bride’s maids dresses. They all were exquisite and praised by many at the wedding. Our friendship grew from there. Then dear Paul came into the picture after the death of Fritz – their wedding was one to be remembered It was stunning and a bit of a tear jerky. Then you, Paul and I became involved in our accounting businesses. She really liked that. As the years rolled along and she became weaker times together were limited. Now she is gone to a better place where there are no tears, no suffering and no more pain. She will be walking on the streets of gold, meeting up with all those that have gone before. May God bless and keep all of you until we meet again. I cannot express how sorry I am for you loss. She is gone, but now is free from all that suffering that she went through, however always with a smile on her face. My friendship with Angela goes back many years. I first met her as I took biofeedback training at the Holy Cross Hospital and she was a most wonderful, understanding person. We became very close during those months. Shortly after that I worked at Symons Valley Ranch with Fritz, unaware that he was her husband. From that grew a business relationship between the two of us. We banned together much of our work and many times worked long days at their home. Angela would be busy in the kitchen preparing suppers that were to die for. Yes, I agree with all the others that was a field that she excelled in. Her generosity glowed through this time – her portions were huge, and your plate was no sooner empty that she was refilling and eat you must. These times our friendships grew. She was an excellent seamstress. When I got married in 1993, she made my wedding gown- the most gorgeous thing created by anyone (in my opinion). She did extras i.e. like sewing beads all around the skirt, one bead at a time – the hours that must have taken. But it was all done with love . Then Fritz grew ill; we spent much time with them both trying to be a support. During his battle with cancer, she , too, was having cancer issues. When Fritz passed on, her life changed and her biggest support was you, Paul. You were by her side through bad and good times, but you two always loved and laughed together. Today, Paul, we understand that there is going to be a big empty hole to fill- you will miss her, but never could you want her back with all that suffering that she was experiencing. Cherish the memories you made through your years together. Life has not been kind to you nor to Angela, but she is now walking on the streets of gold, meeting up with all those that have gone before. One day you will meet again in that great beyond. We are praying for all of you for strength for each day and know that as time heals all wounds you will live and cherish the memories that you all made together. Our prayers will be there always for you all. Paul, we are so sorry to hear of Angela’s passing. Our thoughts and prayers are with you and the family at this time. You and Angela were so very important in the lives of Dad and Cathy. We wish you all the very best in the travels that still await you. Russ and Teresa. We remember Angela as being the great hostess, especially the time that we were in your home for a Calgary Society of Organist party. Angela always was interested in each person and her joyful spirit made everyone comfortable.